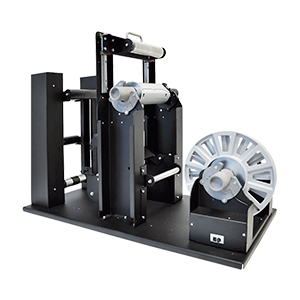 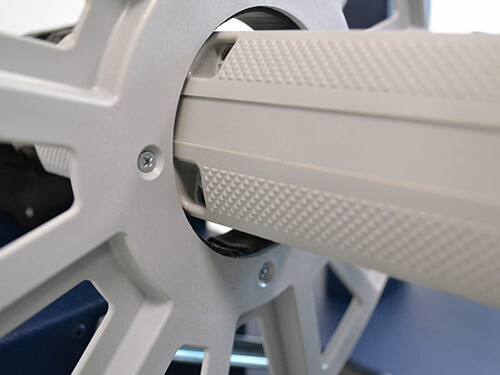 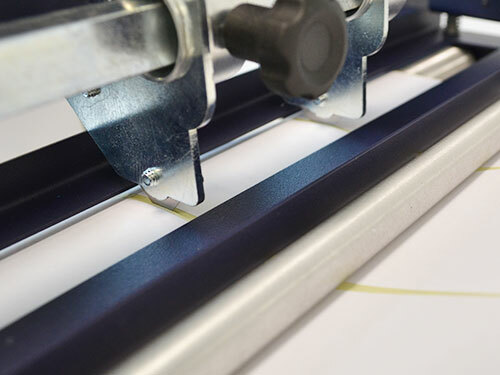 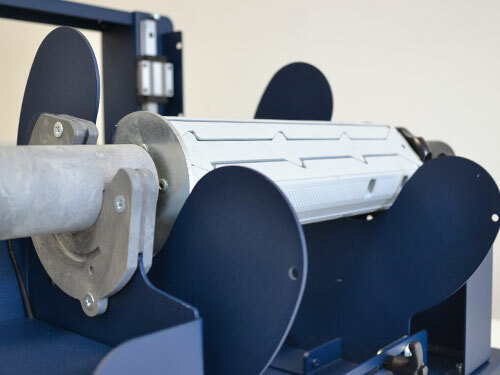 The longitudinal label slitter, equipped with two 76mm (3") fixed core holder is able to work rolls with a diameter of 250mm (9.84"). 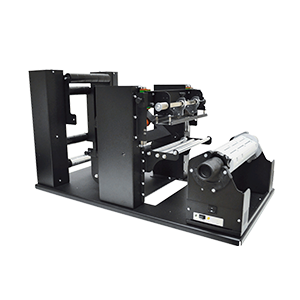 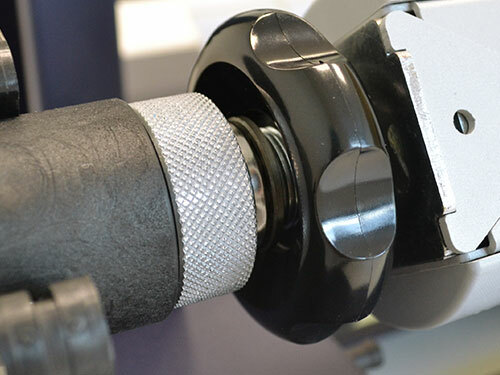 The maximum width of the roll is 220mm (8.66") and it is possible to obtain rows of labels not narrower than 22mm (0.87"). 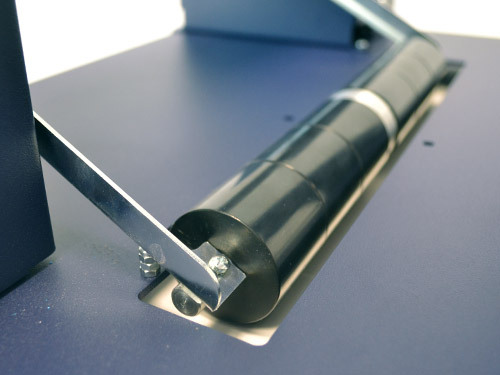 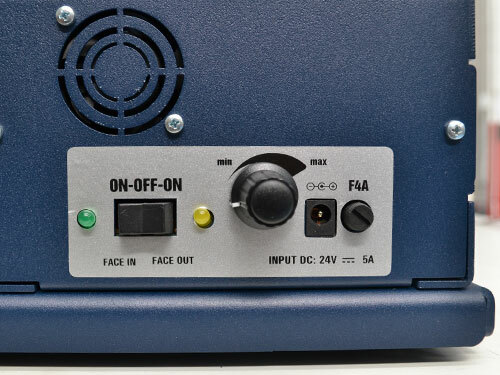 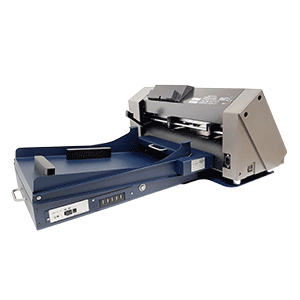 Thanks to the connector equipped with the device it is now possible to use the slitter "in-line" with your label printer.